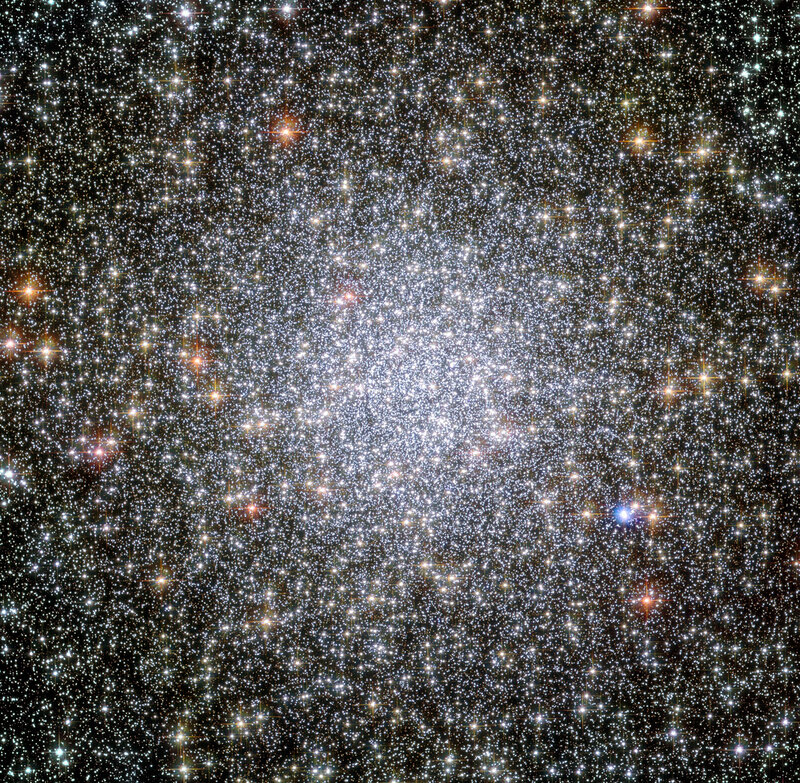 This NASA/ESA Hubble Space Telescope image shows a globular cluster known as NGC 104 — or, more commonly, 47 Tucanae, since it is part of the constellation of Tucana (The Toucan) in the southern sky. After Omega Centauri it is the brightest globular cluster in the night sky, hosting tens of thousands of stars. 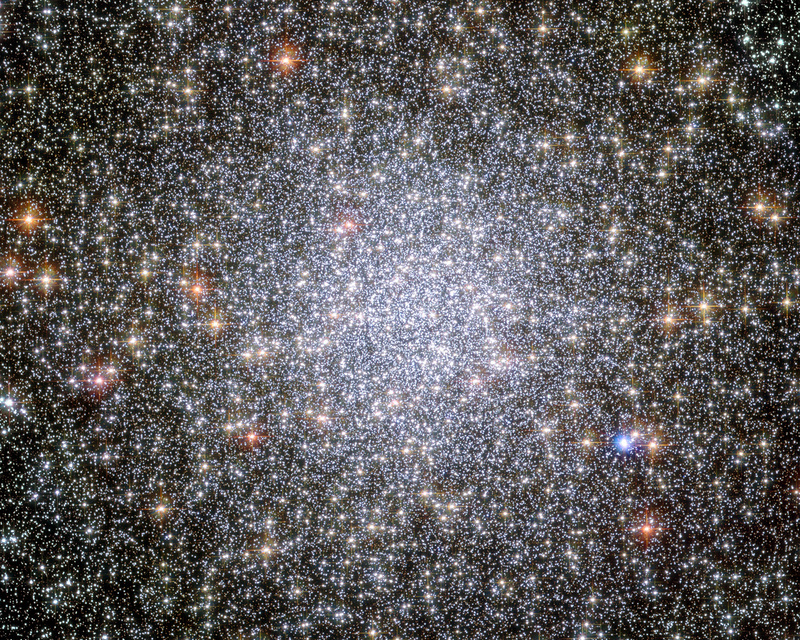 Scientists using Hubble observed the white dwarfs in the cluster. 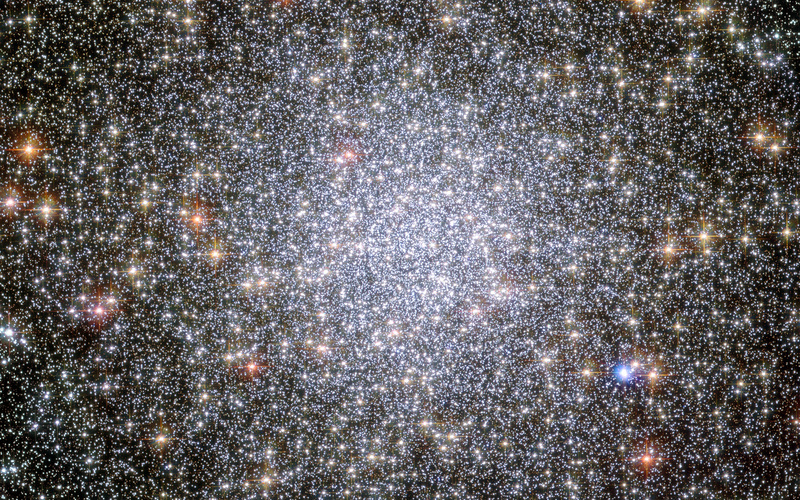 These dying stars migrate from the crowded centre of the cluster to its outskirts. 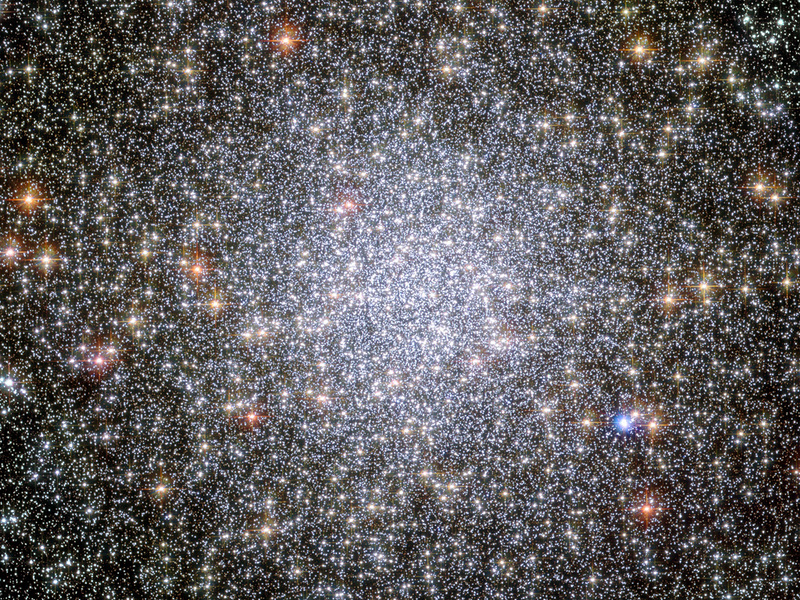 Whilst astronomers knew about this process they had never seen it in action, until the detailed study of 47 Tucanae. Position (Dec): -72° 4' 52.84"